There are a whole lot of recruiters offering various services. How should you choose a recruiter and how can you make the most out of working with him or her? Looking for a job can be a full-time job. Networking, putting your profile out there, and searching for opportunities are all important. Whether you are actively looking or just keeping abreast of new opportunities, working with recruiter leverages your search and marketing efforts. These are the top reasons why people choose to work with a recruiter. Recruiters have the resources to conduct a focused recruitment effort and draw on an extensive database and network. Years of experience in matchmaking allow recruiters to understand company needs and candidate objectives and put together winning teams. Gain Access to More Desirable Jobs. As trusted hiring partners to the client companies, recruiters offer access to top job opportunities may not even be advertised. Staying in communication with hiring managers and understanding the hiring process and staffing needs, means being aware of opportunities before they hit the street. Get Paid What you are Worth. Recruiters work with hundreds of organizations across the country and know exactly how much specific talent and skills command. Recruiters will match your ability and objectives to the appropriate and competitive compensation. Networking is a key component of the recruiter’s success. Professional recruiters have extensive connections with dynamic companies all over the country and can open up doors all over. Even in a challenging market, there are many opportunities for professional development and growth, as well as increased pay. Recruiters focus on promising companies who are hiring now. If you are looking for new opportunities while employed you likely want to be discreet. We will keep your search confidential and not divulge your name until there is mutual interest. Recruiters are looking to provide the best talent and fit, so if an opportunity in not a match, they know why or will find out and provide feedback. Respecting everyone’s time and effort is a key tenant of this business. What you should know when you consider working with a recruiter? Recruiting is the process of locating and qualifying candidates for an employer as part of a specific search assignment. A recruiter may be internal or provide a recruitment process outsourcing service (working on filling just that company’s hiring needs), contingent (gets paid a commission or fee upon successful hiring of the candidate), or retained (is generally the exclusive agent tasked with locating a candidate for a specific position and is likely paid whether or not a hire is made). Placement is the process of marketing available applicants seeking employment to employers seeking employees. This is quite a different objective, and candidates should recognize which type of firm they are working with to avoid frustration. There are mega staffing firms that represent all types of opportunities, pay scales and industries, and there are those firms that specialize by industry, function, and geography. Be discerning. Chose a search firm that shares your focus. If you are looking for a marketing career in solar or a software development position in mobile communications, work with a recruiter who focuses on your niche. Companies typically specialize by type of employment: temporary staffing, independent contractor roles, or in permanent fulltime positions. 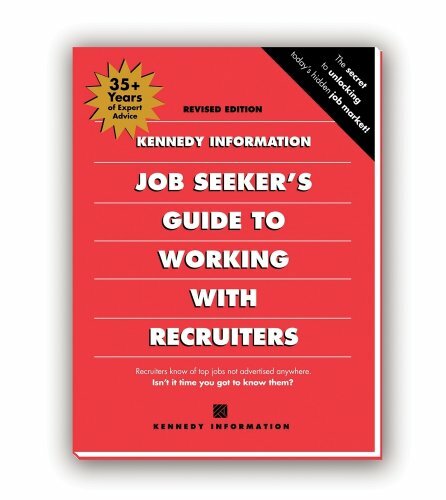 So you’ve identified a recruiter or two who specializes in your industry, role, area, and type of employment. Now what? Polish your resume, craft a cover letter, and send it to the recruiter(s) you’ve chosen. Call and speak with the recruiter so that you can start to paint a picture of your skills and objectives that is deeper than an 8½ by 11 rectangle. Get to know your recruiter and ensure that they understand you. Solicit feedback about your skill set and presentation. Share your goals and objectives. Even if your recruiter doesn’t place you today, a relationship will keep you on the recruiter’s radar for the next opportunity. Be professional and courteous, and keep the recruiter in the loop. If you are not interested in a particular position or the timing isn’t right, decline politely and promptly. Tell the recruiter where you’re already applying so that there is no duplication of efforts; confusing the employer or wasting people’s time will likely cause them to move onto the next candidate. In today’s world of background checks and internet, you can be sure that any misrepresentation will be discovered at some point, so be forthright. While the company makes the hiring decision, the recruiter locates and qualifies the candidates and is the entry to the company. Be sure to proofread written communications and conduct yourself professionally in all interactions with your recruiter. Good follow-up in a professional courtesy and affirms your interest. A good recruiter will provide feedback as available. It is bad for your job search however to carry follow-up to the extreme. If a recruiter doesn’t get back to you, it may simply mean that your particular talents are not a current match. A successful recruiter is on the phone all day and must ensure the communications that lead to a successful hire. Never Go Around a Recruiter to The Company. Companies contract with recruiters to handle the qualification and logistics of the hiring process. If you are the right person for the job, the recruiter will present you, and provide the follow-up the client company desires as part of the process. If you go around the recruiter you will likely destroy your relationship not only with the recruiter but with the company.